A ban file extension is related to the MegaHAL non-keyword list format. What is ban file? How to open ban files? The ban file extension is associated with the MegaHAL, a conversation simulator for Microsoft Windows operating system. The ban file contains list of saved non-keywords. No further information could be found. 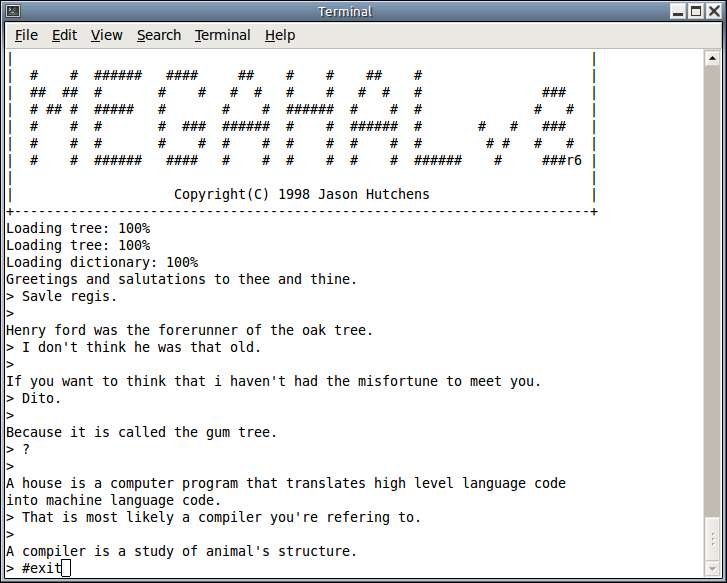 MegaHAL is a computer program which give the appearance of conversing with a user in natural language. MegaHAL is able to construct a model of language based on the evidence it encounters while conversing with the user. and possible program actions that can be done with the file: like open ban file, edit ban file, convert ban file, view ban file, play ban file etc. (if exist software for corresponding action in File-Extensions.org's database). Click on the software link for more information about MegaHAL. MegaHAL uses ban file type for its internal purposes and/or also by different way than common edit or open file actions (eg. to install/execute/support an application itself, to store application or user data, configure program etc. ).